Prepare to celebrate Independence Day with a bang at the 28th annual Patriot Festival in Pigeon Forge! This exciting event returns with an evening full of live music, food and fireworks to commemorate the birthday of our great nation. Gather your family and friends for a night that is sure to be a highlight of your vacation to Pigeon Forge! Here is everything you need to know about celebrating the 4th of July in Pigeon Forge TN at the annual Patriot Festival. The 28th Annual Patriot Festival takes place at Patriot Park in Pigeon Forge starting at noon on July 4th. Patriot Park is situated on Old Mill Avenue at stoplight #7 and limited handicapped parking will be available on-site. Otherwise, guests can park at the Teaster Lane Municipal Parking Lot at 2936 Teaster Lane for free and take the complimentary trolley shuttle to Patriot Park and back. The shuttle will start service at noon and run every 15-20 minutes until the end of the day’s festivities. The Patriot Festival is a free festival that is open to the public and is a wonderful way to celebrate our nation’s birthday! The event kicks off at noon with a free carnival for kids and a variety of food vendors offering their tempting selections. From 1:30 to 9:30, attendees can enjoy fantastic live entertainment including a performance from Electric Avenue. The headliner for this year’s event is country music star Craig Morgan, who sings the hit songs “That’s What I Love About Sundays” and “This Ain’t Nothing.” The festival concludes with a spectacular fireworks showcase at 9:45 p.m. that will light up the sky! If you are coming to experience the 4th of July in Pigeon Forge TN, stay close to all of the action at Aunt Bug’s Cabin Rentals! Whether you have a small family or large group of friends, we have cabins of all sizes to easily accommodate your needs.Our cabins are situated in lovely locations with scenic views of the Great Smoky Mountains while being just minutes away from the many sights, shows and attractions in Pigeon Forge, including Patriot Park. Cabins feature such delightful amenities as hot tubs, game rooms and theater rooms, as well as modern conveniences such as fully equipped kitchens. 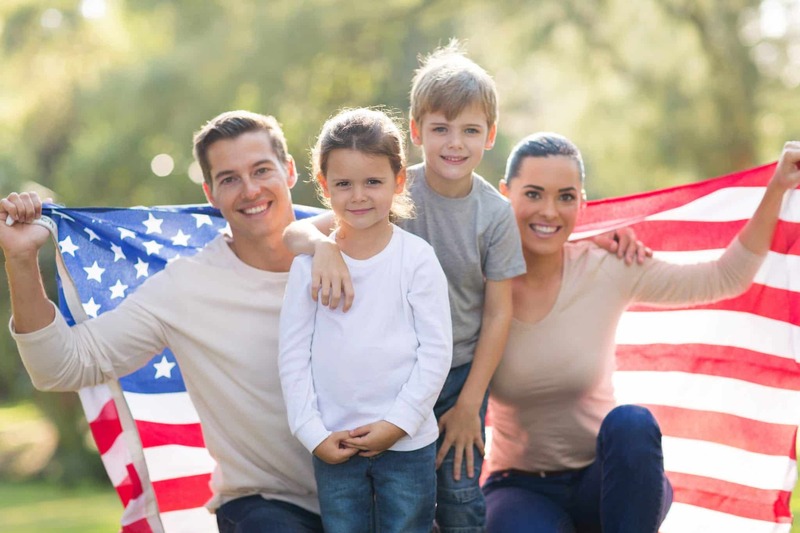 Have a 4th of July celebration of your own by preparing a traditional barbeque meal on your cabin’s grill before heading over to Patriot Park to listen to the live music and watch the magnificent fireworks display. After returning back to your cabin, enjoy a peaceful evening while relaxing in your hot tub under the beautiful night skies of the Smokies! Check out all of our Pigeon Forge cabins today to plan your getaway to celebrate the 4th of July in Pigeon Forge TN! We hope to see you soon at Aunt Bug’s Cabin Rentals!